Light & Darkness Radio: Featured Today! "Virgo,Orion's Reign..."
Virgo (BRA) - Virgo was born in Germany, 2001. 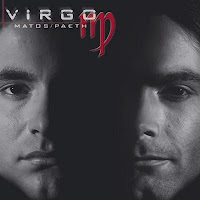 Virgo is the result of the union: Andre Matos (Ex-Viper, Ex-Angra, Ex-Shaaman) one of the bests singers in the Metal scene, and Sascha Paeth, one of the most important producers in the Power / Symphonic Metal scene. Very hard to describe what kind of music is on this album, but I take a try. It is a very special mix of Progressive Rock, Hard Rock, Heavy Metal, Pop, Gospel and many more. But I think it is impossible to describe! If you like special rock based modern music, you could try this great and rare album. Orion's Reign (GRE) - Orion’s Reign was born as an idea back in 2001 but it actually took flesh and blood in the late 2005 in the central Greek city of Athens. With that incarnation, formed without a singer, the band explored instrumental paths and produced two promo CDs (‘Steel horizon’ and ‘The Guiding Light’) which found remarkable acceptance and gained the interest of both metal fans and the press. The group entered a competition for the Greek Heavy Metal and Metal Hammer Magazine and won a place on their upcoming CD “The Hellenic Assault” with the song “Steel Horizons”. In 2006 a page is turned in the band’s music approach to a more neoclassic–epic–power path and Yiannis joins the band as a lead singer. Shortly after the bands enters Fragile studios to record a 6-track EP, titled Beyond Eternity , including some songs from the upcoming full length release and a few other among them a Christmas cover of the song “The First Noel”. By the end of 2008 the band’s formation and the material receives extremely positive feedback as it has been sent to record labels, magazines all around the world, radio and tv stations. “The first Noel” is requested by a Greek Rock Radio station to be used as background music to its advertisement and it is also included in a Christmas compilation CD which cuts more than 5000 copies. 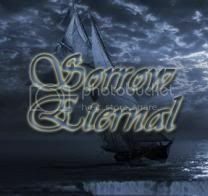 Beyond Eternity it was just a flavour of what was to follow and the band enters the studio once again like in trance to record with no rest the full length album. The recordings are completed by 2009 and CD is sent once again to label companies and magazines receiving flattering reviews (like the German Metal Hammer article which groups it in the most promising releases of the year, referring to the band as the power metal version of iron maiden and Yiannis as Dickinson’s Cousin.) By the end of 2009 beggining of 2010 Orion’s Reign come to an agreement With Rock It Up Records/ Ice Warrior Records and both parties finally sign a covenant and the collaboration begins. During January to March 2010 the band enters the studio again to record 5 brand new tracks, which are to be included in the IceWarrior Deluxe Limited Edition Version on this release as bonus material. The Cd is entitled TheNuclear Winter considering 16 tracks and many guest appearances of bands like (Firewind, T.Ziras,Fragile Vastness, W.E.B. and more), planned to be of record store shelves worldwide in late April 2010. Cardiant (FIN) - Cardiant was formed in early 2000′s. Lauri joined the band in 2003. Cardiant made several demos before getting a record deal with Underground Symphony. Cardiant recorded their first album Midday Moon in 2005. Cardiant didn’t have a permanent singer and was forced to have Janne Saksa as a session singer on the album. Unfortunately Underground Symphony had problems with the European release and the album was released only in Japan by Marquee/Avalon. 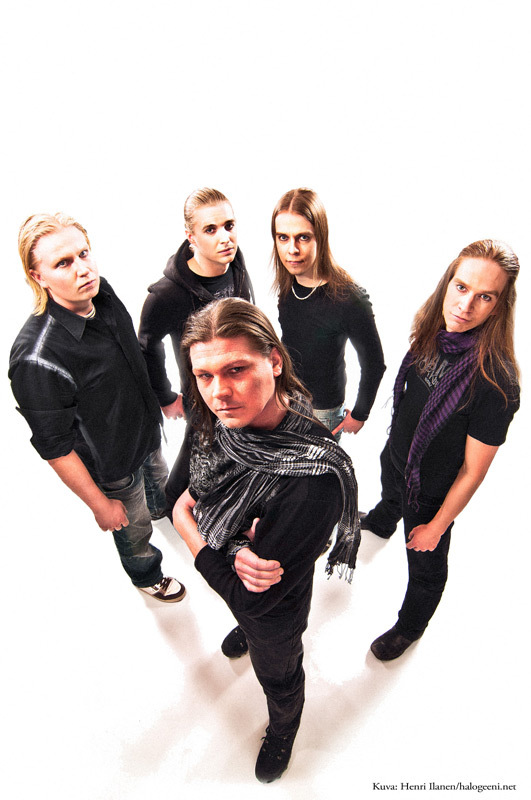 The summer of 2007 was the turning point for Cardiant as Mikko and Marko joined the band. In addition to being capable with their instruments, they we’re also able to take care of the live backing vocals. Erik joined the roster in 2008 after his experiment in Finnish Idols. In 2009 Cardiant recorded Tomorrow’s Daylight, the self-financed second album. In autumn 2010 Cardiant was selected to the semi-finals of Finnish national selection for Eurovision 2011 as one of three bands voted from a group of 277 participants. Redemption (USA) - Redemption is an American progressive metal and power metal band. Redemption is composed of former and current members of Fates Warning and Prymary. Early incarnations of the group featured members of Symphony X and Steel Prophet. Led by guitarist Nick van Dyk, the band originally featured Rick Mythiasin on vocals, Bernie Versailles of Agent Steel on guitar, and Jason Rullo on drums, with Michael Romeo providing symphonic arrangements. Mythiasin left in 2003, and Corey Brown of Magnitude 9 stepped in and performed live with the band, but Ray Alder of Fates Warning, who had sung on one track on Redemption's self-titled debut, agreed to join as Redemption's full-time vocalist, beginning with 2005's The Fullness of Time. The band recently accompanied the progressive metal band Dream Theater on their U.S. Systematic Chaos Tour, supporting their 2007 release The Origins of Ruin. In March 2009 a live DVD/CD, entitled Frozen in the Moment, was released. The band's fourth full-length album, Snowfall on Judgment Day, was released at the end of September 2009 in Europe and on October 6 in North America. Timeless Miracle (SWE) - Timeless Miracle is a power metal band from Sweden founded in 2001. After three demo recordings, they released their first full-length album Into The Enchanted Chamberthrough Massacre Records in 2005. On January 11th, 2008, it was revealed that Jaime Salazar had chosen to leave the band due to lack of time. He was replaced by the returning drummer Kim Widfors. To-Mera (UK) - Conceived in early 2005, To-Mera came into the world with a simple mission statement: to push the art form of contemporary progressive metal forwards. By drawing upon a wide array of influences from across the musical spectrum, To-Mera have concocted a unique blend of forward-thinking metal. Their first album, "Transcendental", was released in 2006 by CandlelightRecords, and was hailed as a bold musical statement by the mainstream musical press. Such critical acclaim led to the band securing support slots with the likes of Emperor, Dream Theater andFates Warning. Not content to rest on their laurels, To-Mera returned in 2008 with their second progressive metal masterpiece "Delusions", subsequently nominated for 'best progressive metal album' of 2008 on the prestigious Metal Storm site along with names like Opeth and Cynic. With a new, enhanced line-up, the band played various European destinations including Spain, the UK, France and Hungary (as guests of Pain of Salvation) in support of the album. After a brief trip to France as the guests of Adagio early 2009, the band parted ways with Candlelight Records. The new EP,"Earthbound", displays a more mature approach to song-writing, and showcases the fresh sound that new members Richard Henshall and Mark Harrington have brought to the band. The end of 2009 saw the band appear at the Belgian Metal Female Voices Festival as well as the guests of Stream of Passion in Holland.